Unwanted body hair can get old to try and get rid of regularly. While we all learn how to shave at an early age, but the time we hit our mid-twenties, we are sick of dealing with the daily or weekly (depending on who you are) task of shaving our legs, under our arms, and any other area we don’t want hair. While most women opt not to shave their peach fuzz that may grow on their faces, it means they have to take a different approach, whether it is waxing at home, using products like Nair, or bleaching these stubborn hairs. But ladies, let’s not think we are the only ones who deal with unwanted body hair. There are many men who want to rid their bodies of hair, whether it is because they have an excess amount of back or chest hair and want to thin it out or they simply want to remove it all for the smooth Orlando Bloom look. No matter who you are, you likely have unwanted body hair somewhere, and you are likely sick of your current method of removing it. Whatever the case may be, we know there are many people out there who are curious about certain hair removal methods and would like to know more about them. Well, that is why we are here today! In this blog, we are going to discuss some of the most popular hair removal methods, their benefits and downfalls, and give you an additional information we think you may need. At Azeal Dermatology Institute, we do more than just help correct your skin problems, we also offer cosmetic and aesthetic treatments, including eyebrow and lash tinting, dermal fillers, and you guessed it, hair removal! If you are looking for a new method to rid your body of hair, don’t trust a spa, trust our dermatology experts in Boulder. We can help make sure you get the best quality service and love the results. Let’s take a closer look at some of these hair removal methods! Shaving is obviously one of the most popular, easiest, and more affordable ways to remove hair. You can shave just about anywhere on your body, just be cautious and careful you don’t cut yourself. There are a few benefits of shaving, one of the major ones being how easy it is to shave quickly without having to head to a spa or dermatologist. But shaving only last for long. Since hairs are only removed at skin-level, they grow back quick. For some people quickly could be later the same day, for others it could be a few days. The soft and smooth legs you get from shaving won’t last long, which is why people seek different methods. 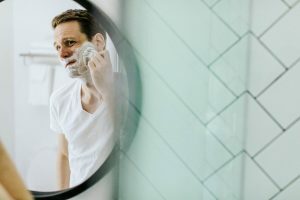 Men and women are both used to shaving, and while men may not be as over the entire ordeal as women, they are likely to have their issues with it as well. Let’s move on to one of our other hair removal methods! These are creams, like Nair, that work by dissolving the hair. These are easy to use — simply smear a layer on the desired area and leave it be for a few minutes. After wiping this cream off or rinsing it off in the shower, your unwanted hair will likely be gone! This method removes hair at or slightly below skin-level. This method works best for areas of hair that are less coarse. This method should be painless, but you need to be aware of how it is affecting your skin. If you feel a burning sensation, wipe the depilatory cream off immediately. Your skin is likely too sensitive or you have left it on too long. It may be a good idea to patch test first before using it all over the desired area. Like shaving, these creams will remove hair for about three days. Waxing is a more painful option, but it also provides better results. Wax is applied to the area where hair is no longer wanted, this sticks to the hairs before it is ripped off, removing the hairs with it. Waxing removes hair from the root, which makes the hair take longer to grow back, When it comes to waxing, however, your hair needs to be long enough for the wax to stick to. It should be at least a quarter of an inch long, so just be prepared to grow it out a bit before waxing it back off. Waxing is painful, imagine ripped a piece of duct tape off of your skin, it is a similar feeling. Some areas will be more sensitive to the pain than others, but as you wax more often, the hair will grow back finer, making the process less and less painful with each session. These results are better than shaving or depilatory creams, with results lasting around three to six weeks. Imagine smooth and hairless skin for over about a month! That is why people put up with the pain of waxing. If you are wanting to get a different location waxed, feel free to contact us! We will let you know if we can wax your desired area and schedule an appointment for you. Don’t worry, it doesn’t hurt that bad! Sugaring is a similar hair removal method to waxing. It uses a sugar which contains a paste or gel to stick to the hair and rip them out. Like waxing, sugaring also removes hair from the root, offering better results. Sugaring is an all-natural method for removing body hair, you can even make some at home for your next DIY project. An article from Bustle mentions that sugaring is slightly less painful than waxing because it does not stick to the skin as much, but it is still used to rip out hair, so there will likely still be pain. You can get sugaring done professionally, buy your own sugaring kit to do at home, or you can make your own! Making it a more affordable option. Like waxing, sugaring can offer results that can last from three to six weeks! Laser hair removal is a much more long-term. This method destroys the roots with light, which makes it an almost permanent hair removal option. When it comes to laser hair removal, it is not a one and done ordeal. This method generally takes six to 12 sessions to offer optimal results. However, the results are amazing with only touch ups needed every six to 12 months. This is another service we offer at Azeal. We use the Cynosure Vectus Hair Removal Laser. We use this advanced laser to help ensure you are getting the results you want. While this may be pricier upfront, it will save you time, money, and the hassle of using other methods in the long run. There are so many methods of removing unwanted body hair and some methods may be better for some than others! If you want to learn more about waxing or our laser hair removal option, feel free to contact us! We can also help you determine if the home hair removal products you are using are going to harm your skin or contain unhealthy ingredients. Get rid of unwanted hair and feel confident all summer long! Try one of these new methods or hair removal today and enjoy smooth and beautiful skin. Schedule your hair removal appointment today! We look forward to helping you.